As 2016 comes to an end we thought it would be fun to take a look at the entrance exams for the Public Service. Be prepared to challenge yourself as you step back in time to calculate in pounds, shillings and pence, and measure in miles and yards. 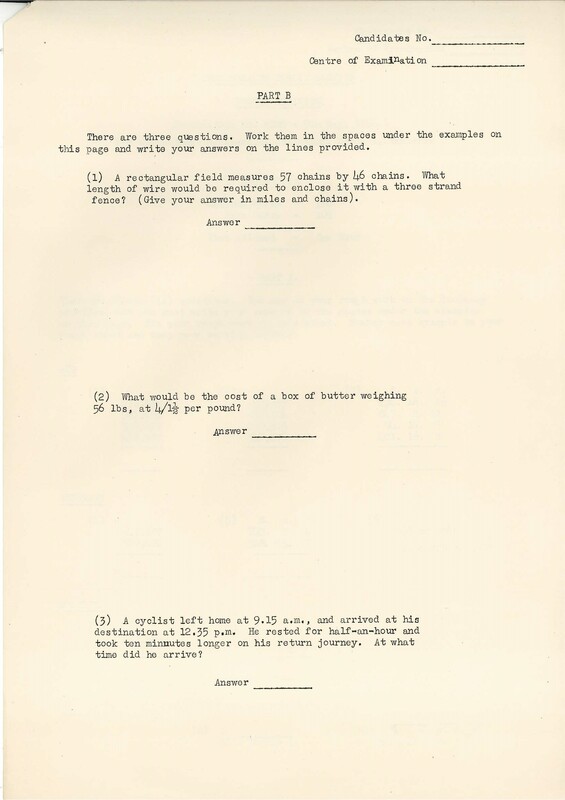 Take our condensed interactive quiz, or for a real challenge, print the original examination papers and put pencil to paper like in the old days. Don’t forget to set your timer! 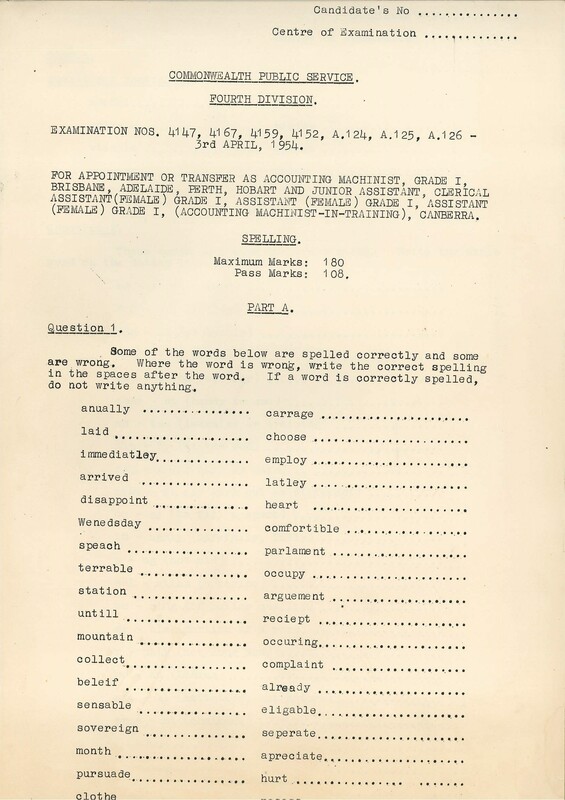 The Commonwealth Public Service Act 1902 established that basic entry into the Commonwealth Public Service should be based on an examination designed to test ‘the efficiency and aptitude of candidates for employment’. The Public Service Commissioner was required to advertise these examinations publicly and widely; and to provide sufficient time and localities to allow as many people possible the opportunity to compete for employment. 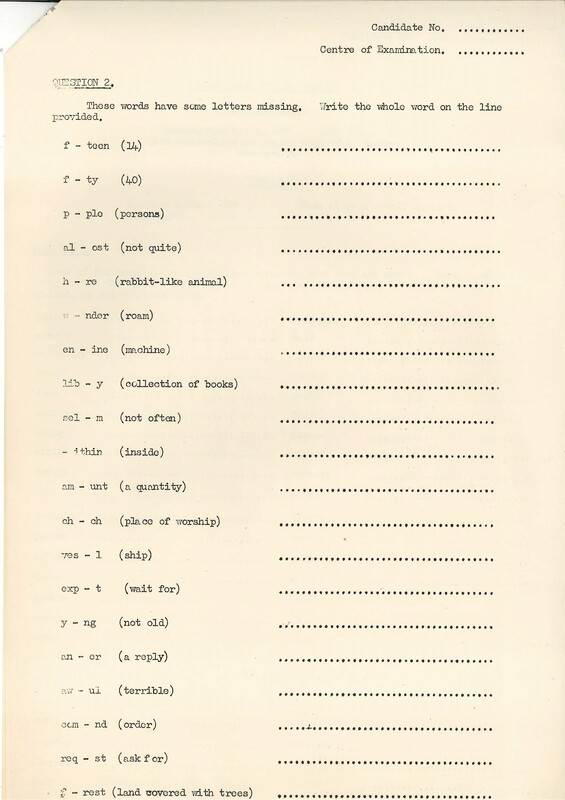 To sit the examination, an applicant had to be a British Subject and physically fit. Men needed to be aged between 18 and 50.5 years and unmarried women between 14 and 50.5 years. 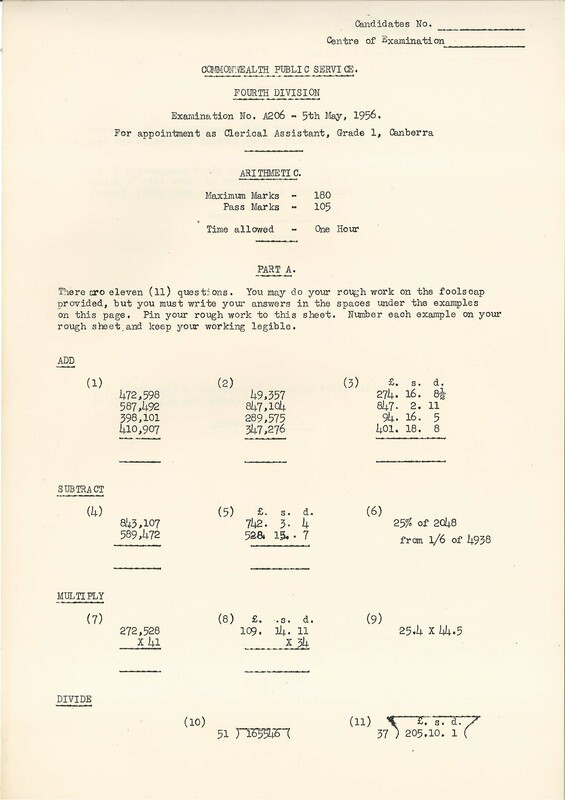 The examination papers that we have uncovered this month cover a range of entry positions and were administered in Canberra in June, 1956. 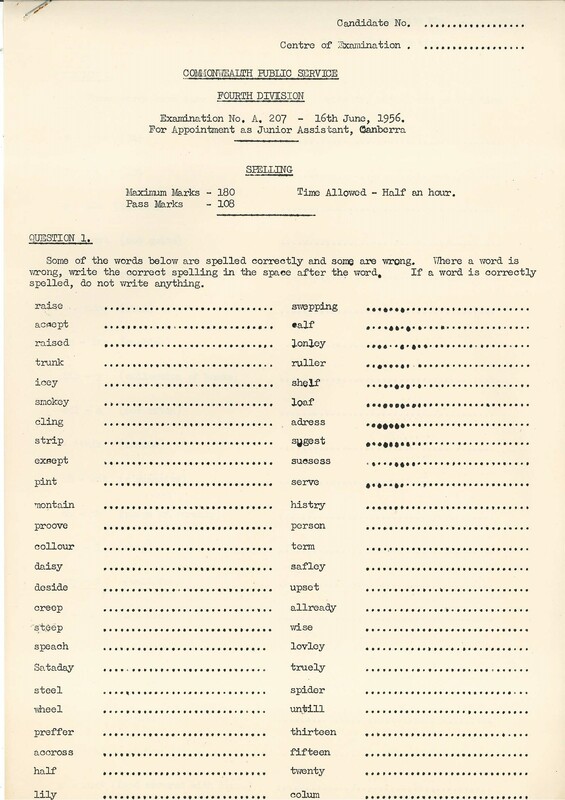 Applicants generally undertook two exams in spelling and arithmetic, and the exams ran to a strict timeframe. 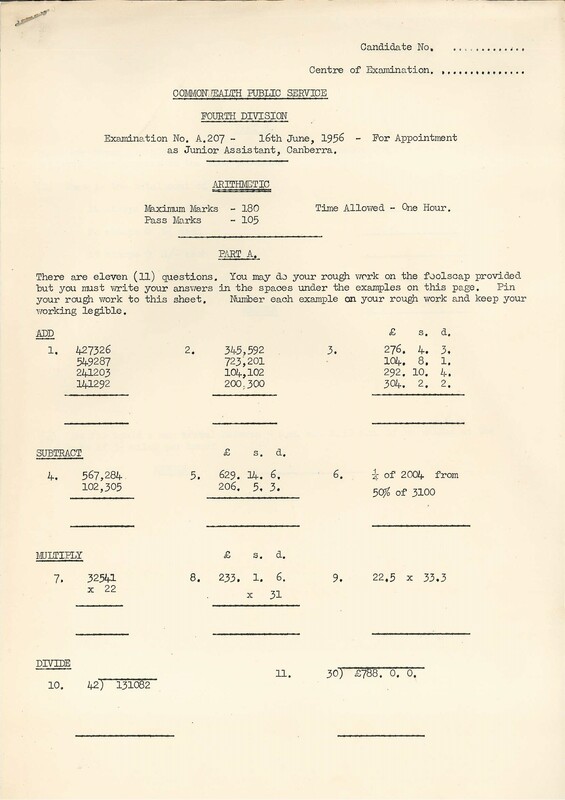 Entry was quite competitive, and during the 1950’s Canberran’s were lucky to have an extremely active Commonwealth Public Service Inspector who often advertised free courses to help locals increase their chance at gaining entry. Although over time the conditions changed, examinations continued to provide entry-level employment into the Public Service until the mid 1990s when traineeships became the preferred recruiting tool. 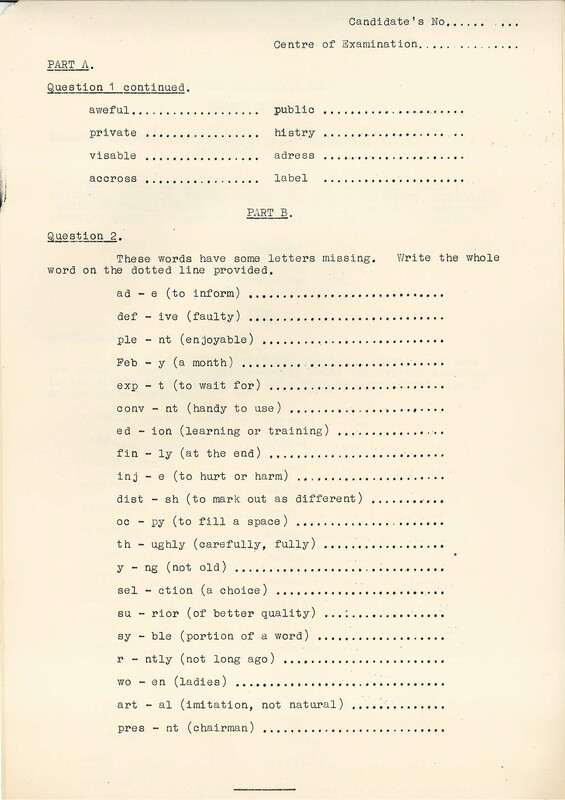 The 1956 Commonwealth Public Service Entry Examinations provide us with a unique snapshot into early public service requirements and for this reason they are Archives ACT’s December Find of the Month. 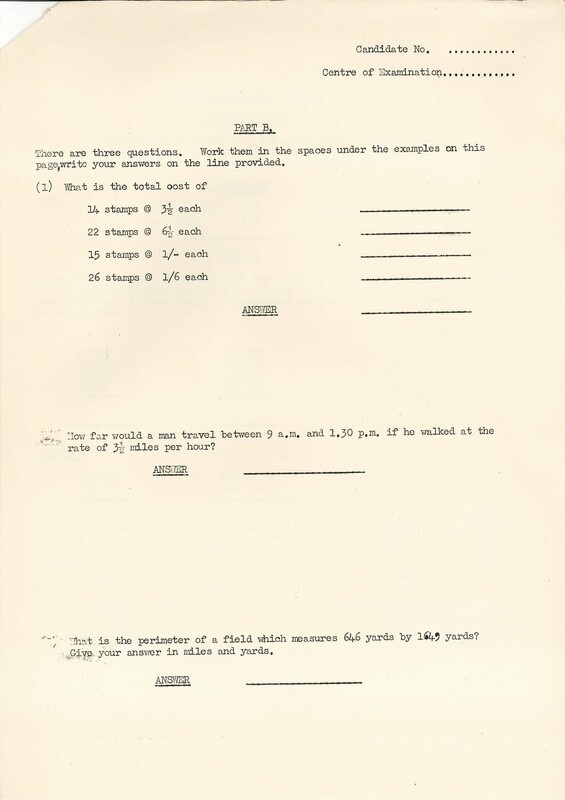 The 1956 Commonwealth Public Service Entrance Examinations are publicly available archives. If you have a particular question about these papers please contact ArchivesACT through our “Request a Record” service. If you would like to view the original documents you can also contact us to arrange a suitable time to visit the Archives ACT Reading Room located on the top floor of the Woden Library.